¡Agregaste a Markus Schulz a tus favoritos! Te avisaremos antes que los boletos salgan a la venta en tu región. ¡Obtén alertas vía correo electrónico y nunca más te pierdas los eventos de Markus Schulz! DJ/producer Markus Schulz has been blowing audiences away with dance-heavy sets at his electrifying live shows for nearly 25 years. He mixes operatic pieces, cinematic elements, bright synths, and pulsing rhythms to create an EDM sound that’s entirely his own. Performing for massive crowds, Schulz is a master at building anticipation before dropping sick beats and vocal loops that drive fans into a frenzy. On his can't-miss tours, the famed European performer moves from originals like "Remember This" to remixes of KhoMha and Tempo Giusto with precision and ease while commanding the decks among stimulating audiovisuals. Fans of all-night revelry take note: it’s always an experience to remember whenever Markus Shulz takes the stage. 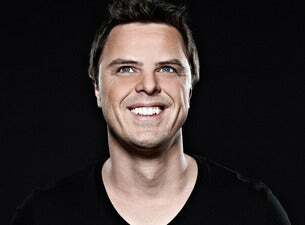 Born in Germany, Markus Schulz's interest in producing began after his family moved to the United States when he was 13. He became enthralled with the breakdance and house music scene and started experimenting with synths and beats in the early '90s. The producer made his debut with 1994's Plastik Trax EP Vol. 1, which generated significant buzz around his fresh EDM sounds. He continued to release singles throughout the late '90s and early '00s before coming out with his 2005 full-length Without You Near, which helped earn him an international fanbase. Since making his debut he's produced four more acclaimed albums, collaborated with famous DJ Armin van Buuren, remixed major artists like Madonna and Jewel, and earned his first No. 1's on the Billboard Club chart in 2003 for the tracks "Intuition" and "Stand". Schulz has played for hundreds of thousands of people at festivals like Electric Daisy Carnival, Creamfields, Ultra Music Festival, and he’s headlined several arena shows of his own around the world. One thing’s for certain – he knows how to put on a good time and deliver high-octane sets for lucky ticket buyers whenever he takes the stage. ¿A qué evento de Markus Schulz asistirás?